Balcony Flat is located in the coastal town of St. Ives in the county of Cornwall. 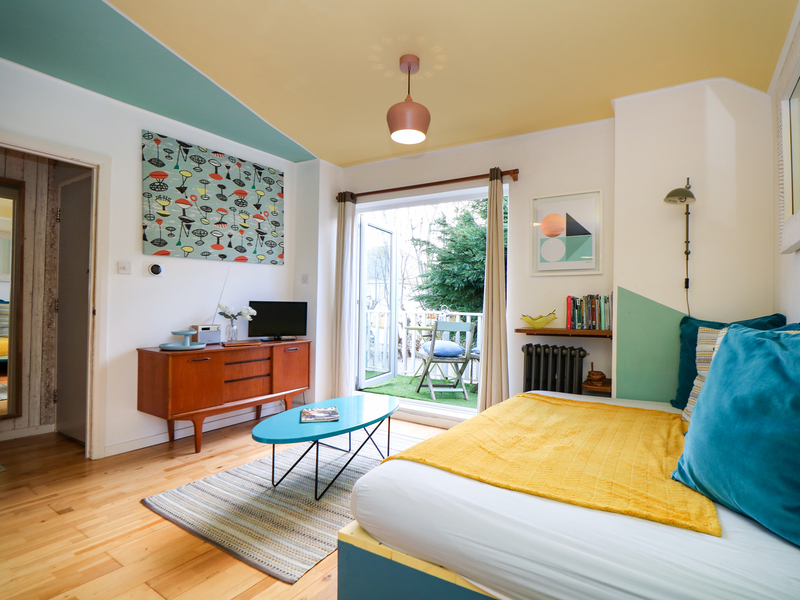 It hosts an open-plan studio living room, comprising of a double bed/sitting area. The bathroom features a bath, shower over bath, basin and WC. Additionally within the open-plan living area is a kitchen and dining room. The property also has off-road parking available. Outside you will have access to a private balcony, posing table and chairs. Balcony Flat is a contemporary property, within a stunning location, ideal for a couple's getaway. Electric oven, hob, fridge with icebox, microwave, toaster, kettle. TV with freeview, selection of games and WiFi. Fuel and power inc in rent. Bed linen and towels inc in rent. Private balcony with seating. Outdoor shower and bike storage. Off-road parking for 1 car. One small well behaved dog welcome. Sorry, no smoking. Pubs and shops are within a 10-minute walk. Note: The sofa is a futon and is also the a double bed.